La Petite Sirène. . Wallpaper and background images in the Ariel club tagged: the little mermaid ariel la petite sirène fan art rock sparkles butterflies. 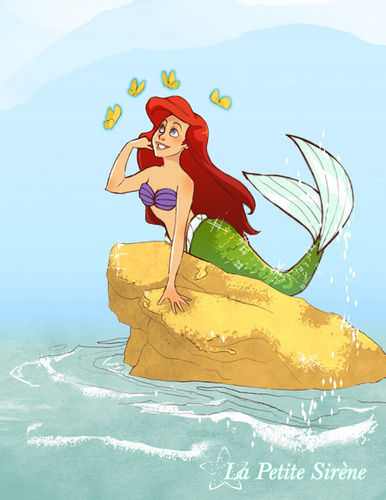 Why Ariel is my favourite Disney princess of the classic generation of Disney.